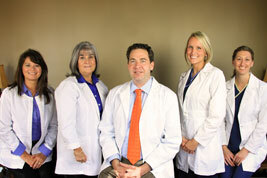 Dr. Fletcher is a native of Orlando, Florida and moved to Rome in 2004. He has two sons and a dog named Scruffy. He enjoys reading and collecting antique medical books. He served as a den leader for his sons Cub Scout troop. In his leisure time Dr. Fletcher enjoys outdoor activities with his boys and welding hobbies. In 1997, Dr. Fletcher graduated from University of Florida with a Bachelor of Science in Microbiology and Cell Science and minor in Chemistry. 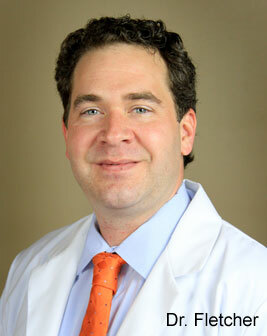 He received his Doctor of Dental Medicine from Nova Southeastern University, College of Dental Medicine in 2001. In June 2004, Dr. Fletcher completed his residency and received a certificate in Periodontics as well as a Masters of Science from The Medical College of Virginia School of Dentistry. In 2005, Dr. Fletcher earned a Board Certification in the field of periodontics. This honor signifies that Dr. Fletcher made achievements beyond the mandatory educational requirements of the specialty. In 2005, Dr. Fletcher completed additional Anesthesia training beyond residency education and was awarded a Certificate in Conscious Sedation by the American Dental Society of Anesthesiology. Dr. Fletcher is licensed by the State of Georgia in IV Conscious Sedation. He is current in Basic Life Support and Advanced Cardiac Life Support. Both office locations have been certified by the State of Georgia to provide IV Conscious Sedation. Dr. Fletcher is on staff at Floyd Medical Center, Rome, Georgia. Robert Lee Fletcher, III, D.M. D., M.S.